The Changchun CMII Meteorological Science and Technology Company had it's origins in the Changchun Meteorological Instrument Research Institute. They develop and manufacture meteorological instruments and sensors. 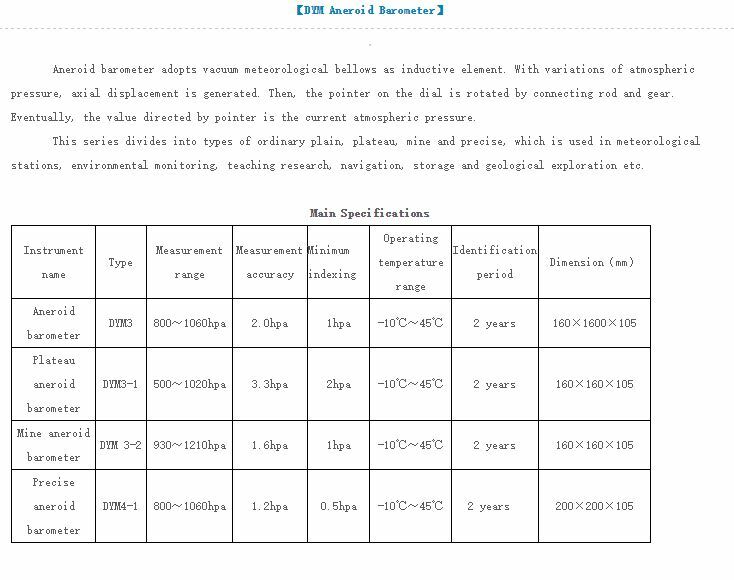 The following is a listing of the specifications for DYM3 and DYM4 aneroid barometers produced by Changchun. It is taken from the company website.